Hungarian deputy; born at Grosswardein Feb. 14, 1845. 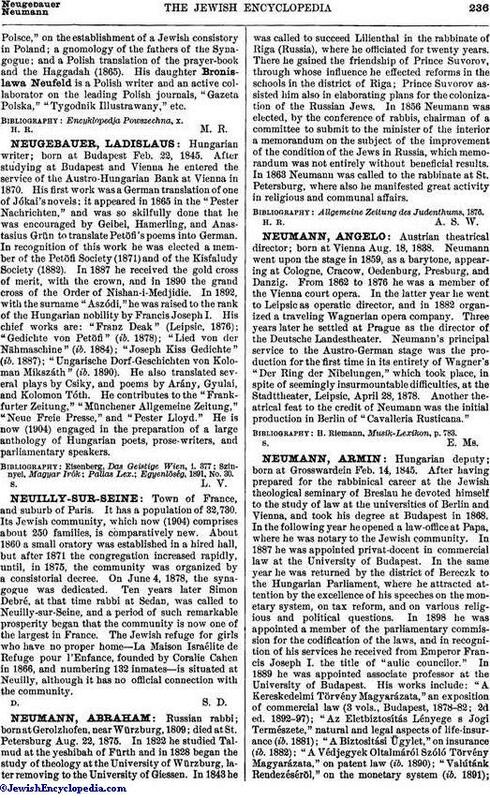 After having prepared for the rabbinical career at the Jewish theological seminary of Breslau he devoted himself to the study of law at the universities of Berlin and Vienna, and took his degree at Budapest in 1868. In the following year he opened a law-office at Papa, where he was notary to the Jewish community. In 1887 he was appointed privat-docent in commercial law at the University of Budapest. In the same year he was returned by the district of Bereczk to the Hungarian Parliament, where he attracted attention by the excellence of his speeches on the monetary system, on tax reform, and on various religious and political questions. In 1898 he was appointed a member of the parliamentary commission for the codification of the laws, and in recognition of his services he received from Emperor Francis Joseph I. the title of "aulic councilor." In 1889 he was appointed associate professor at the University of Budapest. 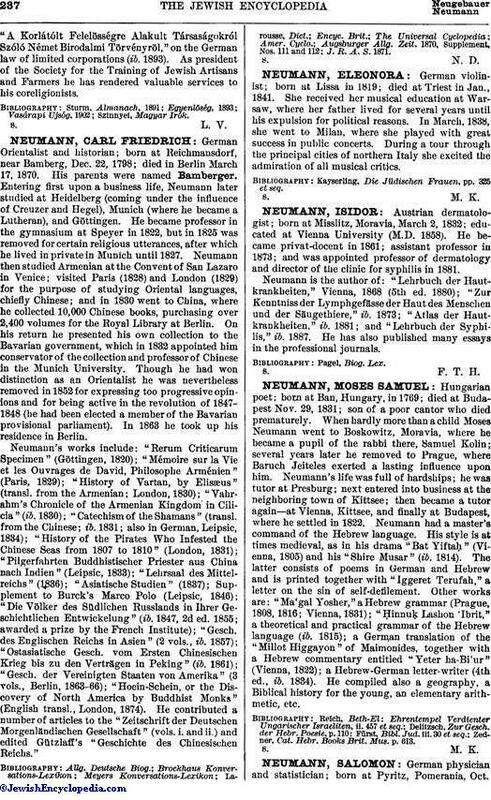 His works include: "A Kereskedelmi Törvény Magyarázata," an exposition of commercial law (3 vols., Budapest, 1878-82; 2d ed. 1892-97); "Az Eletbiztosítás Lényege s Jogi Természete," natural and legal aspects of life-insurance (ib. 1881); "A Biztositási Ügylet," on insurance (ib. 1882); "A Védjegyek Oltalmáról Szóló Törvény Magyarázata," on patent law (ib. 1890); "Valútánk Rendezéséröl," on the monetary system (ib. 1891);"A Korlátólt Felelösségre Alakult Társaságokról Szóló Német Birodalmi Törvényröl," on the German law of limited corporations (ib. 1893). As president of the Society for the Training of Jewish Artisans and Farmers he has rendered valuable services to his coreligionists.